We are a third of the way into 2019 and the Netflix content is only heating up. This month’s offerings include the second season of tense family drama Doctor Foster (April 3) the second part of horror adaptation The Chilling Adventures of Sabrina (April 5) and the return of Samantha! (April 19). After the success of interactive Black Mirror special Bandersnatch, Netflix’s new interactive survival special You vs. Wild debuts on April 10. Netflix users will get the chance to direct top British survivalist Bear Grylls around in a virtual fight for survival. The shortest and most romantic month of the year is here and Netflix is continuing to deliver the goods. For hungry Game of Thrones fans, check out creator George RR Martin’s newest series Nightflyers on February 1. 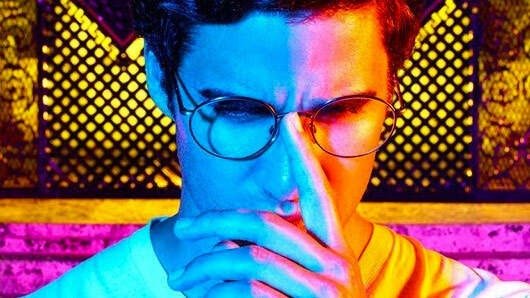 Also available from the first is Darren Criss’s acclaimed turn as Andrew Cunanan in American Crime Story‘s second season, The Assassination of Gianna Versace. Later in the month we have the seventh season of Homeland on February 18, while Shadowhunters makes its way towards its final conclusion on February 26. Out with the old, and in with the new. The new year is finally here, and how better to celebrate than with multiple cosy evenings in front of the telly. 2019 is already shaping up to be a good year with Netflix’s January offerings, which include new episodes of Crazy Ex-Girlfriend and The Unbreakable Kimmy Schmidt, as well as season three of A Series of Unfortunate Events.